The single inlet radial fan serie COMEFRI NTHE is designed to meet the market requirements using standard components. Noise data according to DIN 24166, Class 2.
fan performances fully tested and certified in Comefri's own state-of-theart laboratory in accordance with ISO, DIN, BS, UNI-EN and AMCA standards. Forefinger ® is an innovative device fully developed and engineered by the Aeraulic and Acoustic Test Lab of Comefri. The principle is to exploit the air swirls, always present inside a fan housing. 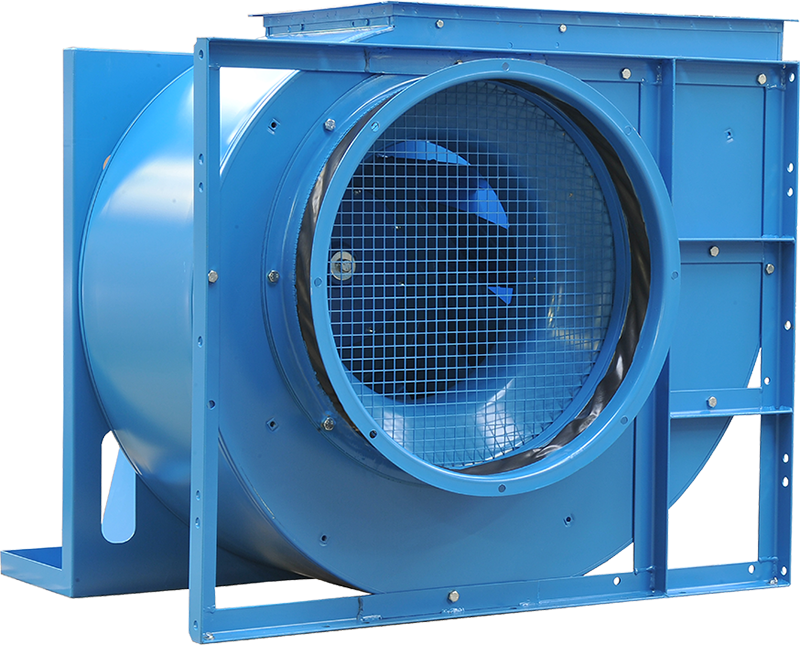 As well known, the recirculation of the air streams inside the fan housing is a major source of losses, decreasing the fan efficiency and increasing fan’s noise. This device, called Forefinger ®, is actively readdressing this air recirculation to the outlet, with a systematic enhancement of the performances, both aeraulic and acoustic.